The finalists for the 18th annual Bett Awards have been announced by Bett organisers i2i Events Group, and partners the British Educational Suppliers Association (BESA). Entries to the awards are judged on uniqueness and diversity, their ability to meet the needs of the education sector, the quality, accessibility and delivery of their service or solution. The selected finalists have been chosen by a panel of independent educators. 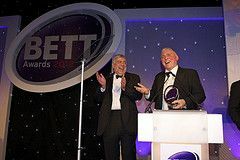 Winners will be announced at the Bett Awards ceremony on the first evening of the Bett Show, Wednesday 20 January 2016 at The Brewery, London EC1Y. For the full list, visit http://bettawards.com/2016_finalists.